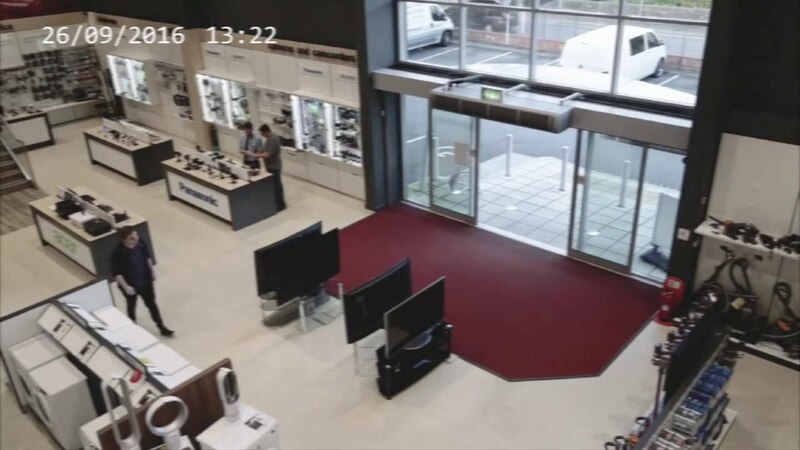 This is the moment an unfortunate customer at an electronics shop managed to break four flat-screen TVs in just five seconds. The hapless man kneels down at a TV display to take a look, but accidentally knocks over that screen and the one behind it. He recoils in horror, stepping backwards and knocks the two sets behind him to the ground. Watch the agonising moment it happened. The incident happened in the St. Austell branch of electronics chain HBH Woolacotts. It's not known if the customer had to pay for the damage.